Many people will be surprised to learn that marijuana production is behind the creation of some of the worst environmental toxins in the U.S.–especially in our precious national forests. 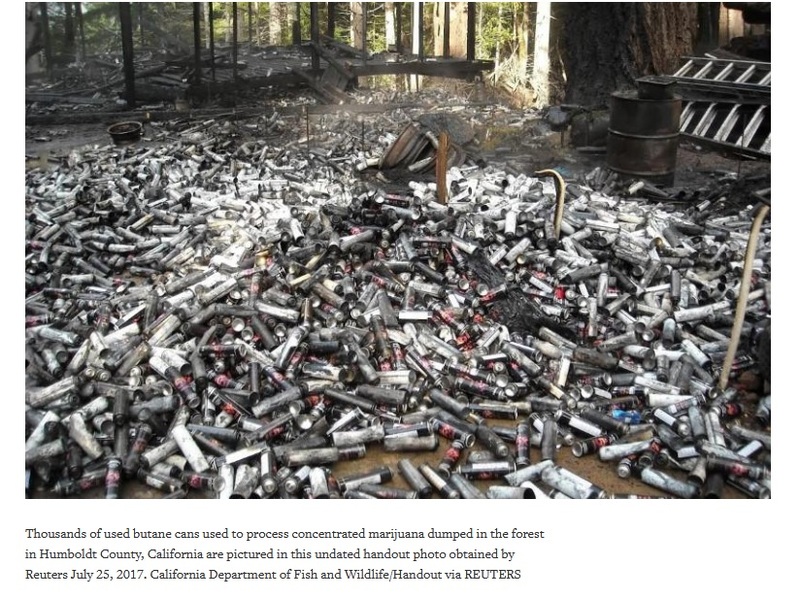 Pollution from illegal marijuana farms deep in California’s national forests is far worse than previously thought, and has turned thousands of acres into waste dumps so toxic that simply touching plants has landed law enforcement officers in the hospital. Gabriel…pointed out that toxics are used at thousands of illegal farms on private and tribal land. After a year or two, growers often abandon sites, leaving containers of chemicals so toxic a quarter-teaspoon could kill a bear.